Kona Beach Village, a quick walk down the beach from Four Seasons Hualalai, has been closed since the tsunami of 2011. 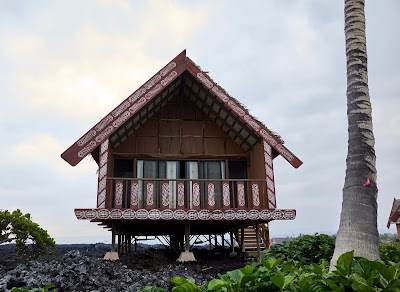 During my last visit to the Big Island, I walked through the 81-acre property, even venturing into some of the old cottages. Though not luxurious by contemporary standards, it's easy to see why KBV guests so loved the resort. They were very casual, and that was the charm. The bungalows offered a true sand-between-your-toes beach experience. Some cottages, like the one pictured above, were set directly adjacent to the beach. Kona Village, a Rosewood Resort is set to re-open in 2022. It will feature 150 completely new standalone hales, each with private lanai and outdoor shower. Shipwreck Bar will be resurrected, and guests will enjoy multiple dining venues, spa, fitness center, multiple pools, and tennis courts. I expect the new KBV to be fully five-star and can't wait to see what Rosewood will bring to the Big Island of Hawaii. I'm certain that Rosewood Elite amenities will be offered, and the resort will presumably join Virtuoso.